Virtual Reality (VR) is, well, a reality now – a cutting-edge technology with applications in gaming, video/photography, manufacturing, mapping, and education. While Oculus was the first company to introduce VR head-mounted handsets, Sony, HTC, and Samsung have all come up with competitive VR headsets. Microsoft has already taken VR technology mainstream at an affordable price-point with Kinect for Xbox. VR handsets come with both head-tracking and motion tracking to give you a complete immersive experience. Technical faults can occur in VR headsets in many components – sensors, lenses, LCD displays, gyroscopes, and accelerometers. While safe handling can help avoid many issues related to component breakage within the VR headset, there are some defects that could still occur. LCD displays can, for instance suffer from broken pixels, residual image issues, and stuck pixels. It requires specialized technical expertise to examine VR headsets and troubleshoot such problems. Alas! VR Headset not Working! If your VR headset is not working well, the issue could be technical, software, or related to the hardware. 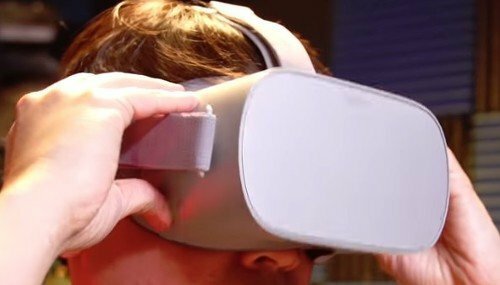 Head-tracking technology is made to keep the delay between physical movement and the change in the VR display to less than 50 milliseconds. If the image being displayed in the glasses is out of sync with the movements of your head, you can easily suffer a bout of motion sickness, nausea, and vomiting. If the image is only mildly out of sync, it would only limit the amount of time you use the VR headset. But in severe cases, you may have to rest for a day or two before feeling all right again. And do remember that the hardware that goes into making your VR handset is extremely high-tech, expensive, and employs intricate circuitry. We are talking about a device with sensors, lenses, and LCD displays – real high-tech stuff. So the longer you carry on using a VR headset which is not working properly, you only increase the changes of expensive repairs being needed. A VR headset not working well is no joke, truth be told. Your VR headset is a device with complex electronics including gyroscopes and accelerometers. The LCD displays on VR headsets are high-end displays that support at least 90 frames per second. Why go to the average service center? Come to the experts at Computer Answers. We know this arena. We have a long list of satisfied clients. At Computer answers, we have vast experience servicing and repairing IPhones, tablets, smartphones, VR headsets, game consoles, laptops, and computers. We have been in business for over 15 years with a reputation for outstanding customer service. We always offer 100% free diagnostics for your problems, so you simply don’t need to think twice before bringing your device in. We provide repair and support services fast at reasonable prices. We are located at 6 convenient locations across New York –East Village NYC, Brooklyn, Albany, Clifton Park, and Schenectady. So, wherever you are, we are only a short drive away from you. Come bring your device to us and feel the Computer Answers difference, it’s guaranteed!